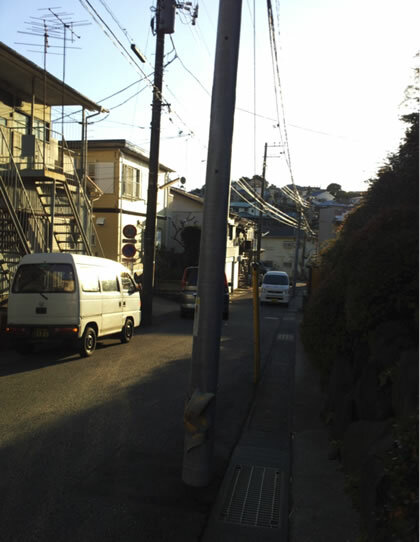 The aim of this article is to present and discuss some potential difficulties and oddities about cycling in Japan and offer solutions, or at least advisories, regarding those issues. As an article primarily devoted to the illustration of the differences between American and Japanese roads, it is not my intention to present said roads in any particular light. I merely wish to describe the situation in such a way as to better prepare the foreigner looking to do some cycling in Japan. Japanese roads are different from their American counterparts for a number of reasons. Beyond the first-noticed change in direction of traffic (Japan drives on the left); road width and the availability of a shoulder are probably the factors that stand out the most. Cycling in Japan is very enjoyable but some mental adjustments are recommended in order to fully appreciate the experience. More seasoned riders understand that making a car wait and taking the amount of road space in which they feel safe is far preferable to attempting to squeeze into an uncomfortably small sliver of the road. This is particularly true if the line the cyclist is trying to hold is so small that they continually weave all over the road, potentially causing an accident. In the United States, however, there are typically wide shoulders on many roads that a cyclist might ride on. As a result novice cyclists are really never forced to learn to take the space they need when confronted with roads without shoulders. Indeed, many novice cyclists simply avoid these roads altogether. In some ways these shoulders do cyclists a disservice. Not only do they enable us never to learn how to ride in the same space as cars but the cars don’t learn how to appropriately drive in the vicinity of a cyclist either. The argument could be made that shoulders and bike lanes sometimes make bikes less visible to cars, not more. Motorists tend to pay less attention to things not actually on the road, making bikes more vulnerable to being turned into or squeezed off the road if the bike lane or shoulder disappears unexpectedly. Cars also tend to feel that they have plenty of space to pass fast, and anyway the attitude of most people on the road in US cities is that they can’t wait to be where they are going. In the case of Japan it is doubtful that attitudes or people are substantially different from those in the US, but the roads certainly are. In the city the destination oriented mindset is tempered by narrow roads that are sometimes not even big enough for two cars to comfortably exist, let alone the myriad bikers, walkers, and dogs nearly always on the roadway. Because of the narrow roads there is no choice but for cyclists to take up some portion of the roadway – after all, if you are riding a road bike the roadway is all there is (Japanese riders on cruisers or “mama-chari” bikes are more likely to ride on the sidewalk than in the road if a sidewalk is available – the sidewalk is rather chaotic, partly because of the mama-charis, but also because of the numerous pedestrians there). This sharing of the road can be a little nerve-racking even for experienced cyclists in that there is just so much going on. 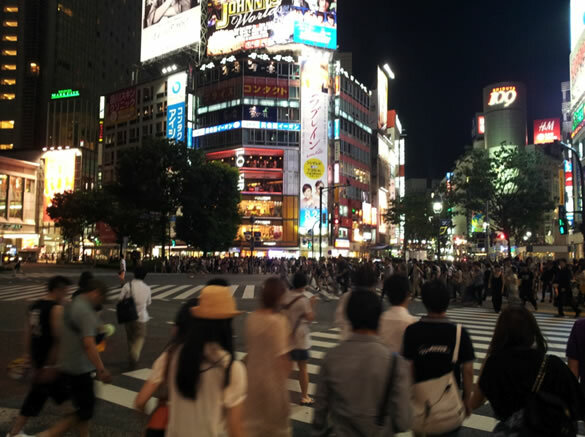 Of course, no one would suggest that a person ride through Shibuya crossing in Tokyo. That doesn’t mean that there will not be times when it is necessary to ride through streets that are filled with cars, pedestrians, mama-charis, dogs on leashes, etc. on the way back to a hotel or house if cycling anywhere near Tokyo (keep in mind that over an hour away by train still counts as near Tokyo). Even when one moves farther from the city the narrowness of roads will still ensure that bikes and cars must exist in the same place at close to the same time. This doesn’t have to be something to worry about so long as the rider is comfortable in the space they have chosen to occupy. In fact, motorists appear to be relatively patient with cyclists. Particularly when compared with the road rage one may sometimes find in the US. Making the selection of roadway even more important are the numerous obstacles and pitfalls on the road. In urban areas the main issues are high curbs (which unexpectedly change drastically in height; for example from not being a curb to suddenly being a foot tall), telephone poles which encroach into roadways, numerous manhole covers and road paint that become slippery when wet, and of course the other people on the road. It is always important to pay attention to the obstacles down the road when riding in any country. Here it is absolutely essential because of the number of obstructions, but also because certain barriers (manhole covers, curbs, some road paint) are not especially visible in advance. Taking in the foreseeable obstacles (people, cars, telephone poles) can help avoid last minute maneuvering that could lead to swerving in front of a car or another cyclist. Regarding both urban and rural riding, the roads in Japan tend to have corners that are much sharper than those in America. Given this, it is important to watch out for mirrors. The first time a fellow rider told me this I was a bit confused. Thinking that he meant those attached to cars, I wondered whether I wouldn’t be better served to watch out for doors, as opening car doors seemed like a much larger and more potentially maiming obstacle to avoid. I realized after a short time however that the mirrors he was referring to were those that were attached to walls, buildings, and poles that showed the oncoming traffic that lay around the corner. Now I find myself lamenting the absence of mirrors when a corner appears to have been overlooked in mirror placement. Although the angle of corners in Japan may be sharp, the mirrors elongate sight distance in order to compensate. As one might imagine, these sharply angled corners do not lend themselves well to a grid system. In fact it appears that plots of land must have been owned by individuals before roads were put in, and instead of buying the land and repurposing it as a roadway, the state simply build around. If urban riding isn’t something you are interested in, that doesn’t mean that cycling in Japan is not for you. There are wooded areas available even from relatively close to Tokyo, and a large National Park only about an hour away from downtown by train. Around 70% of Japan is covered by forest1 so it follows then that not all of Japan looks like the middle of Tokyo. The good news about riding in areas that are farther away from city centers is that on roads with higher speed limits telephone poles no longer occupy a portion of the street, and there are fewer pedestrians that look as though they may jump out into the roadway. On the other hand steep concrete ditches begin to make an appearance. These are usually about a food wide and 2 feet deep. Sometimes they are covered continuously by cement slabs, but more often they are covered intermittently – ostensibly to prevent a car from driving in completely – while creating what seems like a much more painful stop than would be obtained by simply burying oneself completely in the ditch. These ditches are a great reason to stay away from the very edge of the road. Japan, being a series of volcanic islands, is also quite mountainous. This is a further complication which may contribute to the lack of long straight roads as discussed above. As one might assume, it also leads to the creation of numerous tunnels and bridges. Many times the number of tunnels, just like the number of ditches, increases as you exit the cities. Tunnels come in many varieties and can basically be divided into three types. Firstly, the most common tunnels are those that are dark and relatively narrow. They are varying in length, with some being so dark in the middle that it is impossible to see without removing sunglasses. A bike light goes a long way towards alleviating this issue. Additionally, a rear flashing light is a really nice addition to a bike in any country, but it is particularly helpful in these types of situations. Secondly, one will more rarely encounter short wide tunnels that are relatively well lit and sometimes include a sidewalk and two lanes in either direction. These are the easiest tunnels to navigate. Thirdly and lastly are the rarest of the tunnel varieties; those that are wider but very long and serve as a high speed passage from one side of a large hill to another. Typically these tunnels have sidewalks that are separated from the roadway by a large concrete half-wall. As much as I dislike riding on sidewalks, in this case – use the sidewalk. The great thing about these tunnels is that they are so long that most pedestrians don’t use them. You’ll have the sidewalk mostly to yourself and won’t have to worry about avoiding the cars without the benefit of a shoulder. Occasionally you may also come across longer tunnels that are not so well lit but do have a sidewalk. I don’t use these. Who knows what might be lurking in the middle of the sidewalk halfway through the tunnel? I’d rather not have to swerve into traffic to try to avoid whatever road sign or sidewalk marker might lie ahead. Of course as with any article of this sort, use your best judgment. When we first moved to Japan I found that riding here was more mentally challenging than riding in the States. Perhaps someone accustomed to riding in New York would have a different view, as I’m sure the obstacles there are just as numerous as those here. I do believe however that the construction of the roadway in Japan is fundamentally different from that in the United States. Perhaps this is because of the age of the roadway or the way they were originally laid out. Regardless of why, I found that riding here does take some acclimatization – if you will. That being said, it does not take very long to feel comfortable here on the bike, and just as with any different system, there are both benefits and downsides of the more chaotic nature of Japanese roads. 1) “Statistical Handbook of Japan 2012” Statistics Bureau, Japan.